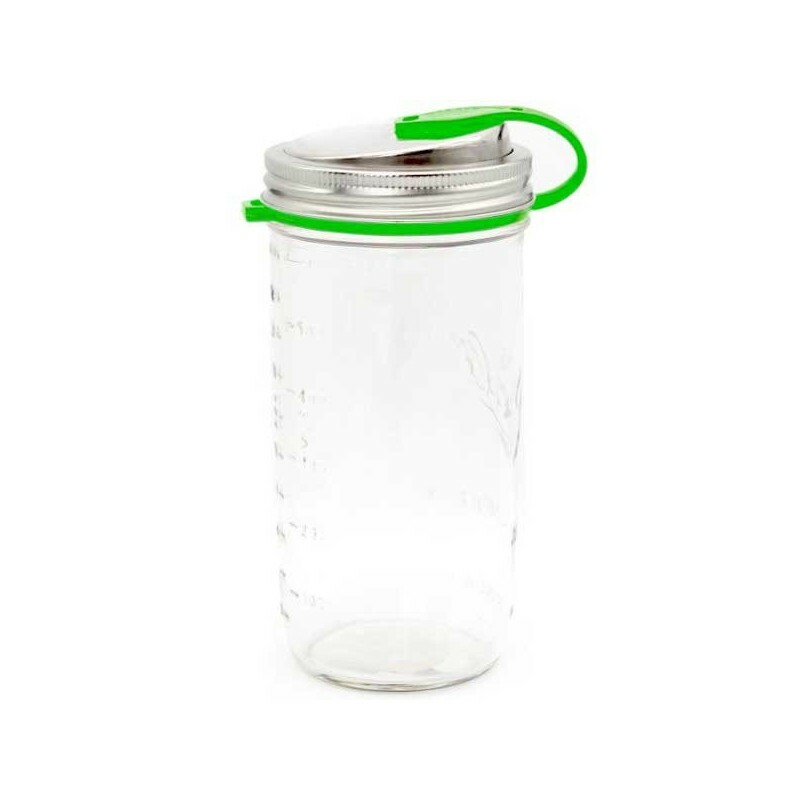 A wide mouth glass jar with stainless steel drinking lid for sipping, pouring, or storing your favourite foods and drinks. 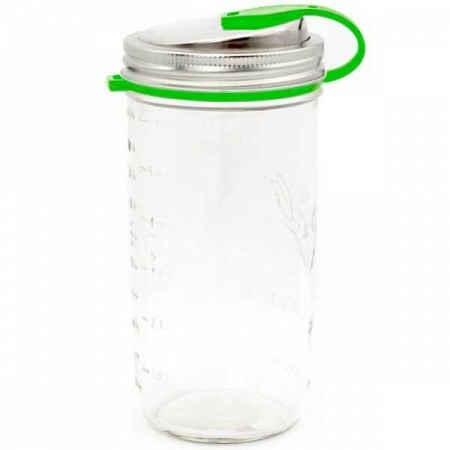 Designed to be used for drinking water, juice and smoothies etc., or for storing bulk foods. 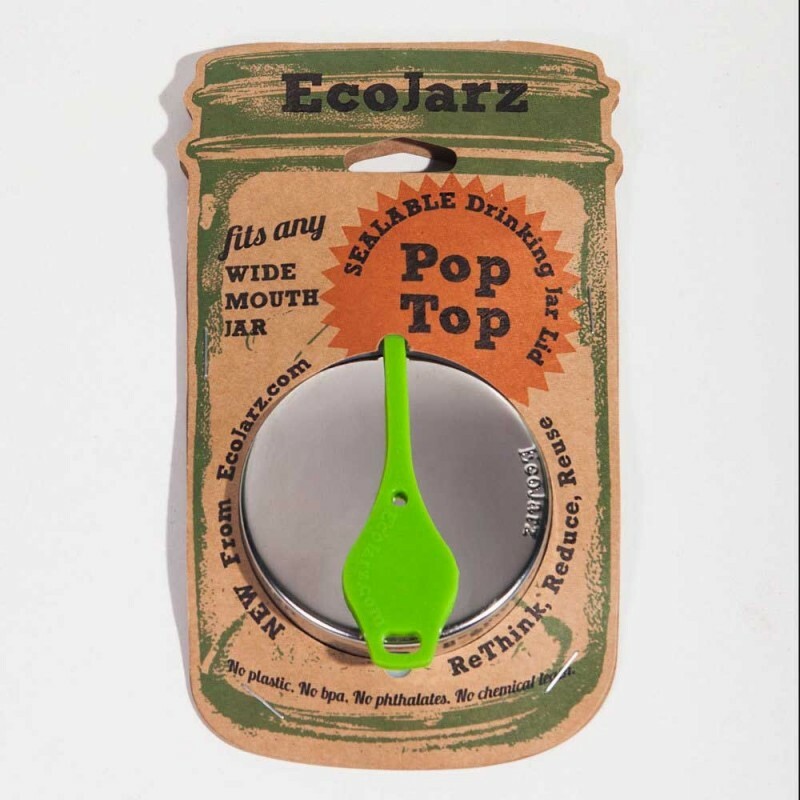 Spill-proof lid will keep contents fresh and safe. Extra large opening for easy flow. Use with a reusable bubble tea straw for a zero waste bubble tea! Two piece drinking lid consists of angled mouth piece with silicone band and a separate canning band. Spill-proof, not leak-proof. 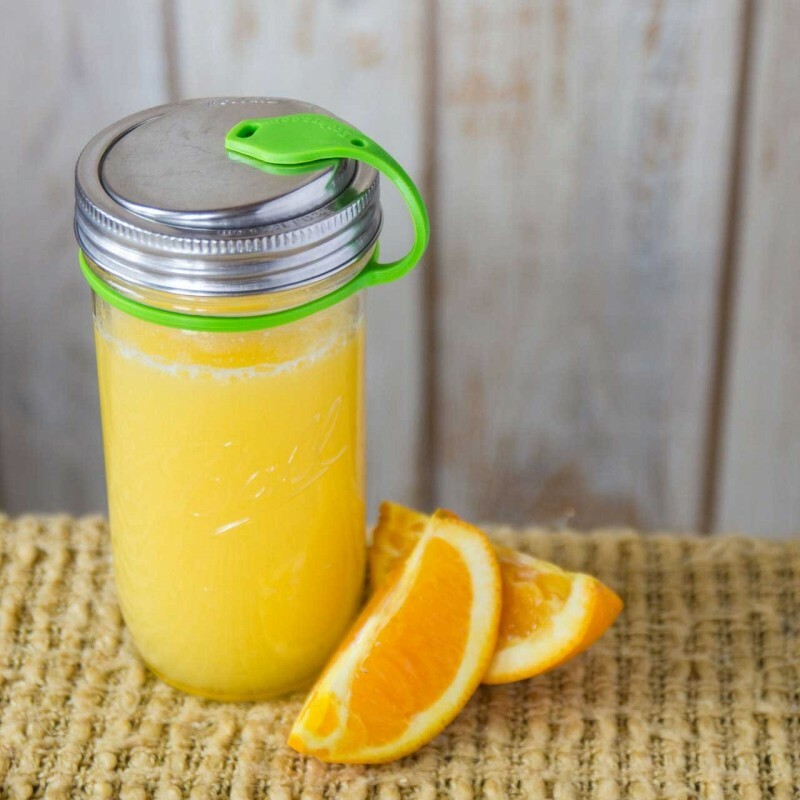 Use for a variety of purposes, interchange the lid with other jars. Will last for a lifetime, no need for disposable alternatives. Large opening for easy drinking and pouring. Features a wide mouth pint and a half/650ml Ball Mason jar. Ideal for bulk food storage and pouring. Suitable for drinking a variety of liquids. Add a stainless steel straw for the ultimate smoothie kit. These jars are great for bubble tea. Store straw in the stretchy loop of the band when you're on the go. Food grade 304 stainless steel and silicone. Top made in Vietnam. Jar in USA. Browse our other jars and accessories.